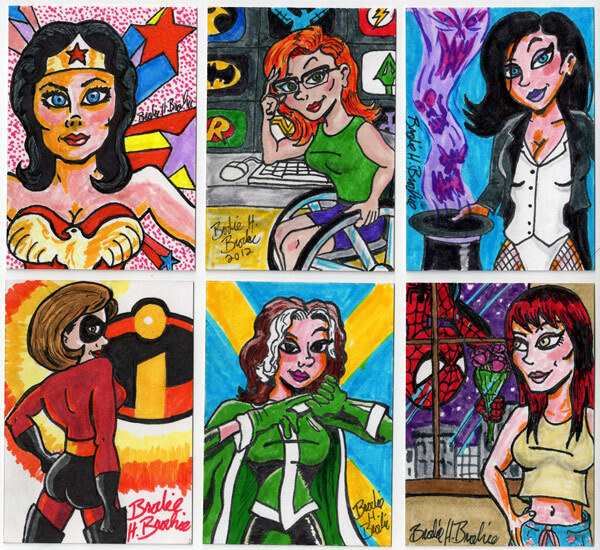 BONUS INCENTIVE: If you're the winning bidder who buys the card that goes for the most out of these six, e-mail me at brodie(atsign)capnwacky.com and tell me the TOP SECRET image added on the back of the card and you'll also win a 8x10 commission of your favorite comic book character! March those dimes, people! Thanks to Steve and the gang at 5finity for doing this and including me!